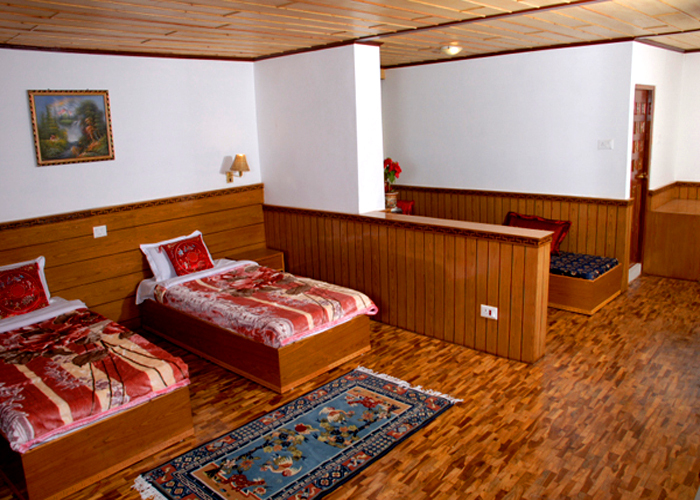 Accomodation : All our rooms are Standard Suites of the same size spacious (350 sqft approx) and well lit. Each tastefully designed & carved by local experts using local teak & silver fir. All bedroom features either a king-size or twin beds-you can choose. 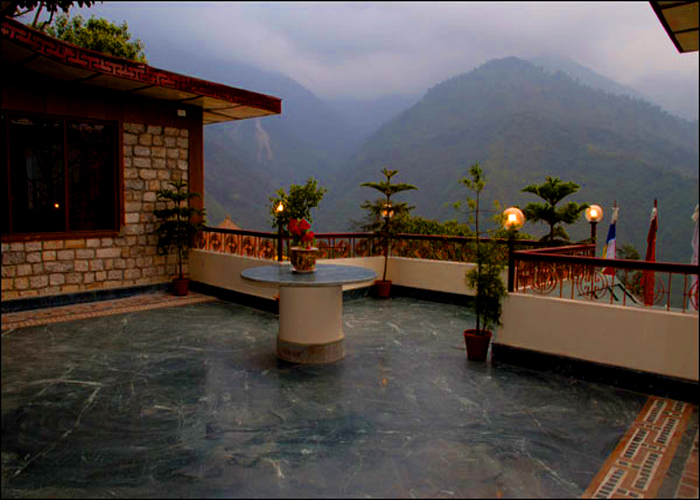 All rooms have private balconies from where you can have the panoramic views of the surrounding hills & rivers. A sitting room in each suite can also accommodate one more adult. 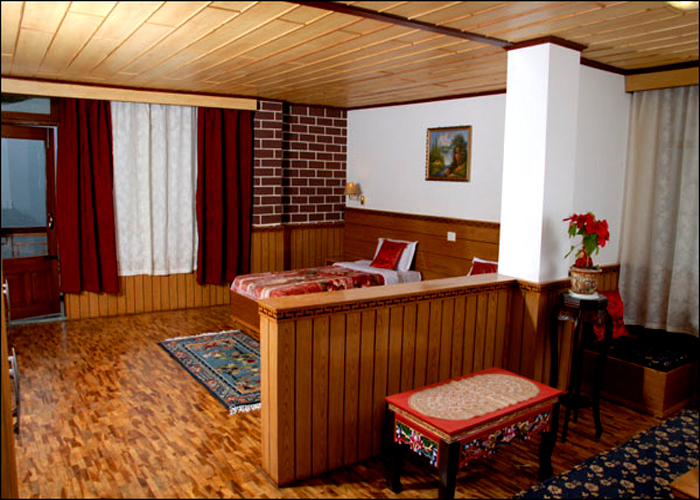 Every room is provided with tea/coffee maker and mini bar. Amenities : All the rooms at The Royal Demazong have spacious attached bathrooms with Tub fitted in each rooms. These have been carefully planned out and finished to a very high standard using modern fixtures and fittings with Central water heating system. 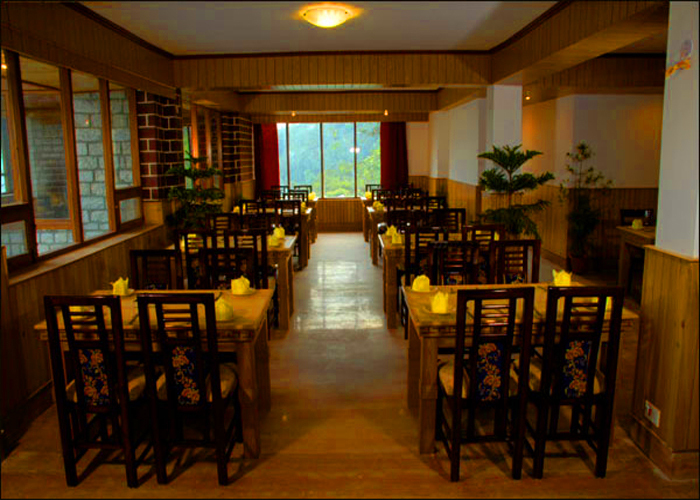 Dining : The well-decorated Orchid Restaurant serves the best Local and multi cuisine food. As the tariff includes Modified American Plan, Daily buffet Breakfast and dinner is served in the restaurant. 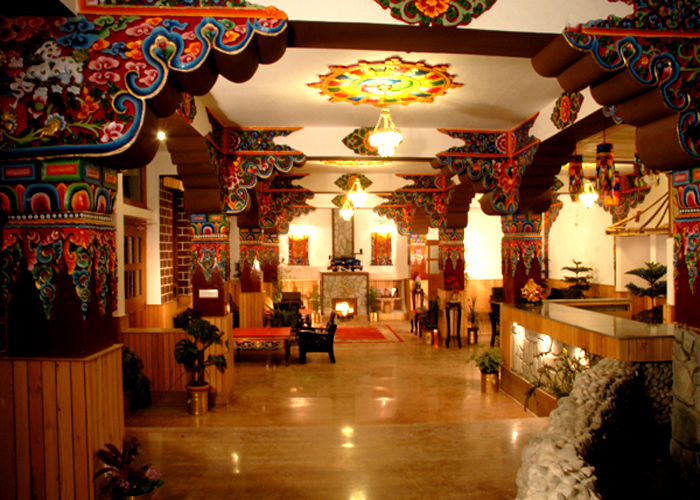 The buffet is mixture of Local cuisine (daily) combining with Indian, Oriental and Continental dishes alternately. 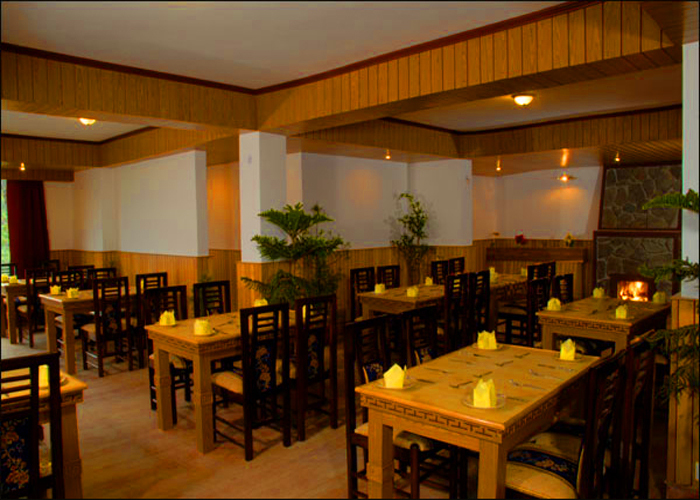 Alpine Bar is a cosy Lounge Bar, fully furnished with alpine timber. Well-stocked serving choicest spirits and cocktails allows you to unwind at leisure. – The perfect place to relax and raise your spirits at the same time. 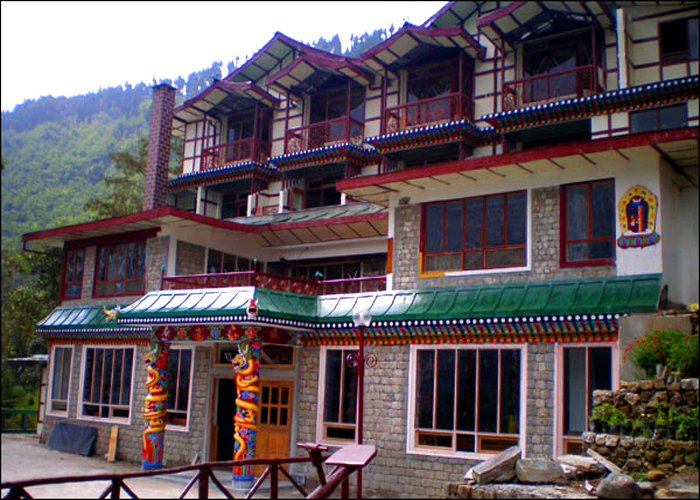 The Royal Demazong Resort located between Gangtok Town and Tsomgo Lake. 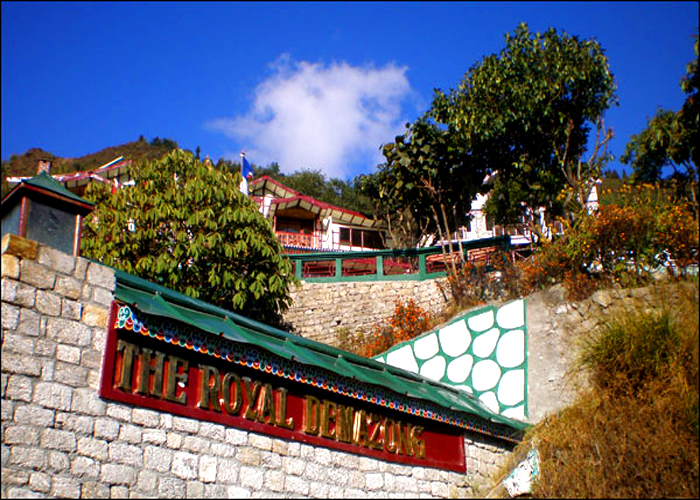 The Royal Demazong is only 15 minutes drive from gangtok town. The resort with just 19 standard suite rooms with an open area of 9 acres for private Nature Walk & Bird watching. 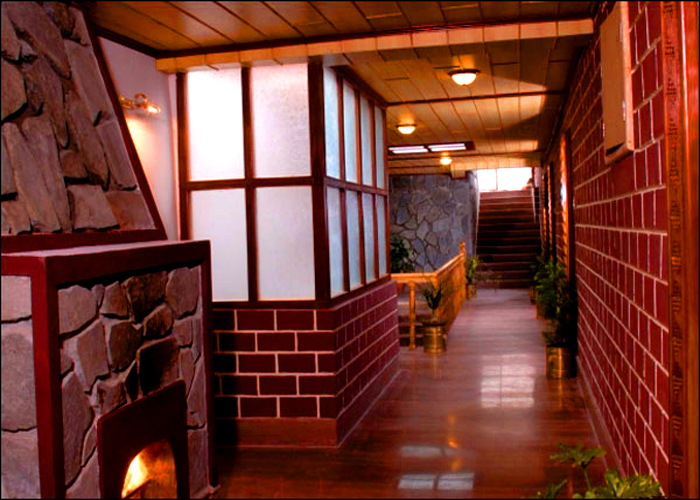 The environment and ambience guarantees a perfect place to relax & unwind.